There are so many great slavery movies on Netflix. They feature historical documentaries surrounding the trials of Black and African-American people during slavery in the 17th and 18th centuries. Don’t miss 10 more must-watch Slavery movies, too. What is slavery (or involuntary servitude)? Existed in the United States of America in the 18th and 19th centuries after it gained independence and before the end of the American Civil War. Whether it’s Black history month or you just want to learn more about this important part of history, check out one of these riveting movies. 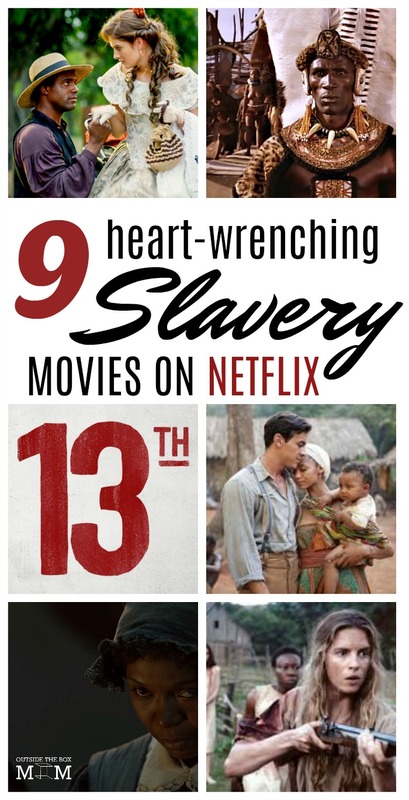 Have you watched any of these slavery movies on Netflix?